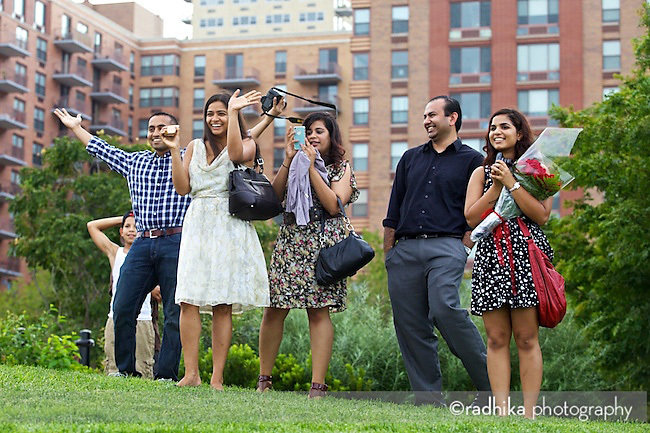 I’m no longer surprised when I get asked to photograph a proposal. It’s fun to be in on the surprise and to witness that special moment. Even better when it comes off as planned. 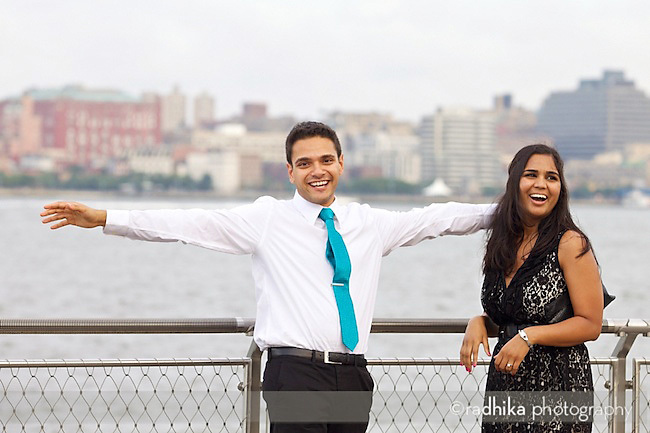 I advised Adi to make sure Rachana wasn’t planning on such a relaxed Saturday evening at Pier C Park in Hoboken that she showed up in shorts and t-shirt, unprepared for a photo shoot. 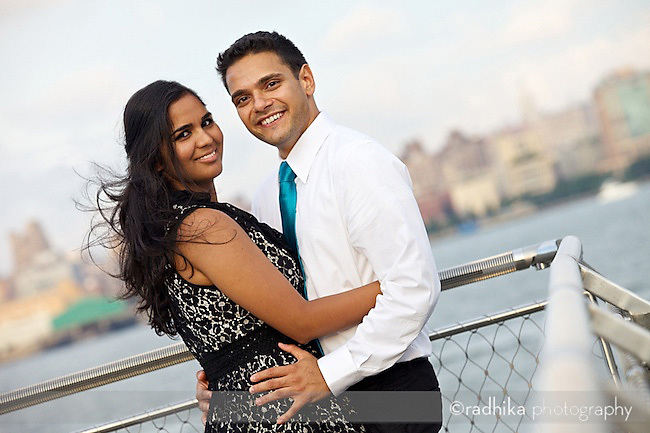 Luckily, Rachana’s friend, in charge of getting her to the Hoboken waterfront, knew what she was doing and Rachana was totally prepared (unknowingly) for the moment. I had a to shoo a few people away from the spot before she arrived, but once people knew what was in the works they didn’t mind. 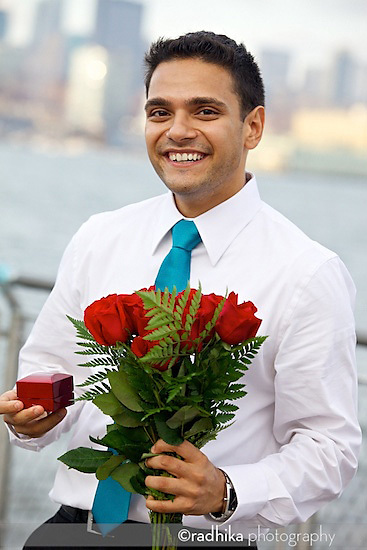 One woman offered to marry Adi herself if Rachana didn’t accept since he was a good looking guy. 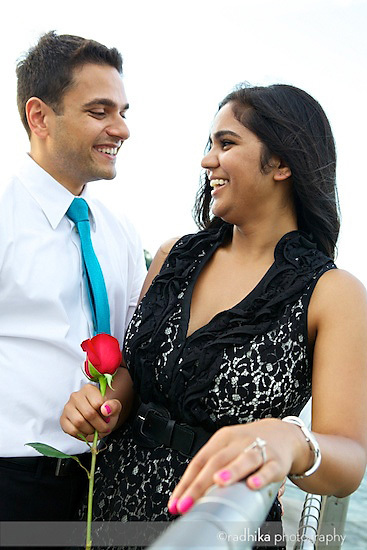 Rachana- it’s a good thing you snapped him up! 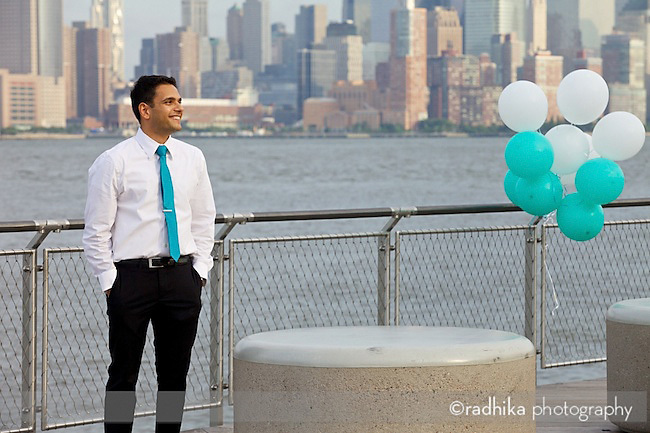 I was impressed with Adi’s color coordination between his tie and the balloons. This man is totally prepared for wedding planning!